Most secondary schools in New Zealand have uniforms, however, the style, approach and attitude to school dress within each school is far from uniform. School uniforms have that curious quality of being everywhere and seeming all same, yet what most people know is confined to their direct experience. Uniforms, like all forms of dress, have meanings particular to the time and place in which they are worn. Alongside other cultural and social changes, these meanings develop and change over time and can be traced through school photographs and other records. Uniform styles developed partly in response to the need for school-appropriate dress, and for girls were part of a general movement towards dress reform in the early twentieth century connected to increasing participation in sports, public life, and the workplace. One of the first uniform items worn by girls in the 1880s was a hatband in school colours. Early skirt and blouse combinations were followed by the gym frock, first introduced in the 1910s as sportswear. Gym frocks were considered innovative at that time and became almost universal as girls’ school uniform in New Zealand for many decades. Students were identified with their school mainly through colour and school tie. In early elite schools, senior boys and prefects wore men’s suits. Otherwise boys’ uniform was an adaptation of existing boys’ wear and junior boys’ uniform remained virtually unchanged for almost a century. Minor colour variations or crests identified the various schools. While uniform styles were considered appropriate school wear in many schools, uniformity was low. School identification was more important than looking the same. During the 1930s uniformity increased, made possible by the mass production of clothing and more reliable supply, coinciding with the rise in militarism. Uniform practice became well established during the 1940s, as uniform styles consolidated and levels of uniformity increased. Summer uniforms for girls and boys made their first appearances in records of the 1940s, coinciding with this rise in uniformity and the diminishing of individual choice that this implies. Distinctive school uniform styles settled into their narrowest range in the 1950s, with the achievement of high uniformity. This period is well known for its conservatism and conformity. Subversive change was brewing with the rising generation of baby boomers. The great cultural expansion of the 1960s opposed conformity and uniformity, preferring individual expression and modern styles. Uniform styles proliferated, some schools requiring no more than the use of a particular cloth or colours. Other schools abandoned the uniform altogether or introduced mufti for senior students. A minority of schools retained their uniforms and even increased formality during the 1970s, retaining traditional values. From the mid-1980s school uniform options generally began to contract, and becoming casual with the introduction of knitted textiles. The overall effect was of lowered appearance standards. Although cheaper and good for sports and junior boys, casual uniforms undermined school pride and limited aspiration. Radical changes in the education system in the late 1980s began a reversal and by the late 1990s school uniforms had settled once again into a narrow range of distinctive styles. Many schools reprised formal elements such as blazers and kilts. Schools differentiated themselves under new conditions of competition, and the uniform became an important marketing tool. Gender distinctions reduced with the widespread adoption of unisex elements, and age distinctions also shifted upwards. Many school abolished senior mufti and uniformity increased, a trend which continues. Clearly school uniforms are interpreted differently in different decades, charting shifting educational concerns, also affected by fashion and changing conditions in New Zealand’s clothing industry. And perspectives also differ among school authorities and teachers who set, monitor and enforce it; parents and caregivers who are responsible for purchase, care and daily wear; and of course the students who wear it every day to school. These and other perspectives contribute to what school uniforms mean in a given context. Because dress communicates aspects of identity, these meanings impact on how a student comes to see her/himself as well as how everyone else does. And regardless of what uniforms mean to school authorities, students collectively modify these meanings through how they wear the uniform, adapting to fashion as part of how each generation differentiates itself. The school’s response to wear styles and uniform enforcement also influences what uniform means within a school community. My studies showed that school uniform can and does function very well in many New Zealand schools. A well-functioning school uniform looks like general student compliance. It looks good on almost every one and creates a sense of belonging and identification with and by the school. Although uniforms still require monitoring by teachers, it’s minimal. This uniform is comprised of several styles to suit the range of body types, sizes, colourations, and genders. It is likely to include both formal and less formal items, and allow combinations based around trousers, shorts or skirts from which students select their preference. Through this, diversity of all kinds is supported and student choice is respected within the limits of group belonging. The appearance of uniformity (so important for uniform function) is created mainly through school colours but sameness is not the first priority. The best uniforms are made of good-enough-quality materials that stand up to repeat laundering, and suit the climate conditions as defined by those wearing it. To maintain affordability, standard items are part of the uniform such as plain coloured shirts or pants. Uniforms should function at least as well as regular clothing: looking and feeling good, facilitating activity, representing value for money, and comfortable both physically and socially. A good uniform is at least tolerated by the majority of the school community, if not actually liked. Materially it must work. Equally important is how schools establish and enforce uniforms. Uniform is usually referred to in school rules, in more or less detail. School rules set the standard and clarify expectations for compliance. Rules also operate as instructions for challenge or rebellion. When not rigidly applied, rules create the boundaries necessary for uniforms to function. A minimum similarity must apply or the benefits of uniform are lost. The main benefits are a sense of pride and belonging in the school, and shelter while young people figure out who they are and who they want to be. Uniforms keep options open by obscuring differences in economic backgrounds and when they look good, contribute to self-worth and aspirations for the future. Most students like uniforms for these reasons, with one important proviso: they really need to express themselves somewhere in their appearance. This need for expression varies between people but is usually satisfied in minor variations to the uniform. This is partly to communicate preferences within their cohort and to experiment with that. Expressing a self is also necessary to being a self. Uniforms change all the time. School identification remains the single consistent function of school uniform in New Zealand. Although high uniformity and formal uniforms are often conflated with a quality education, the clear priority in such schools is appearances. However following rules is not the same as learning to manage and understand appearances. This can be learned at school when the uniform is done well. 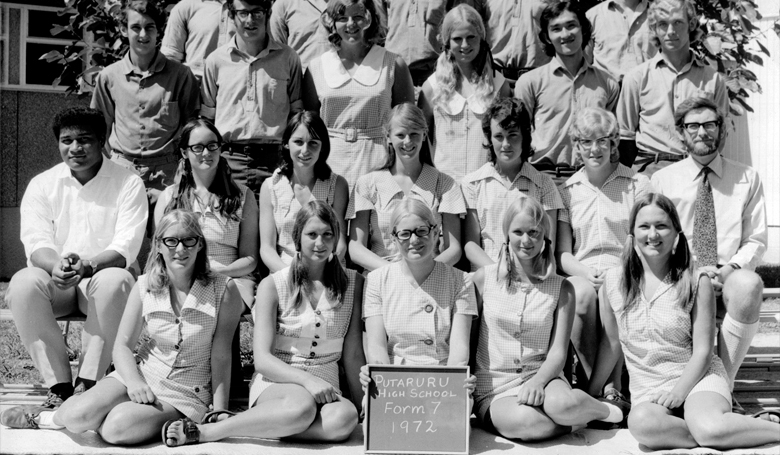 Photo: Putaruru High School 1972 Diverse uniform styles – for the girls. Elaine Webster completed her PhD in 2006 at the University of Otago. For her master’s degree she studied same dressing in twins, and built on this work for her doctorate with research into the history and practice of school uniform in New Zealand. 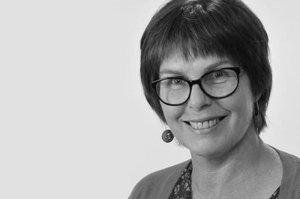 She has worked at the University of Otago in various roles since graduating and is currently the Director of Summer School & Continuing Education. Elaine has researched and published on the role of dress in identity and communication processes, symbolic meanings in the material world, and fashion as a social phenomenon. She continues this work alongside new research in education.